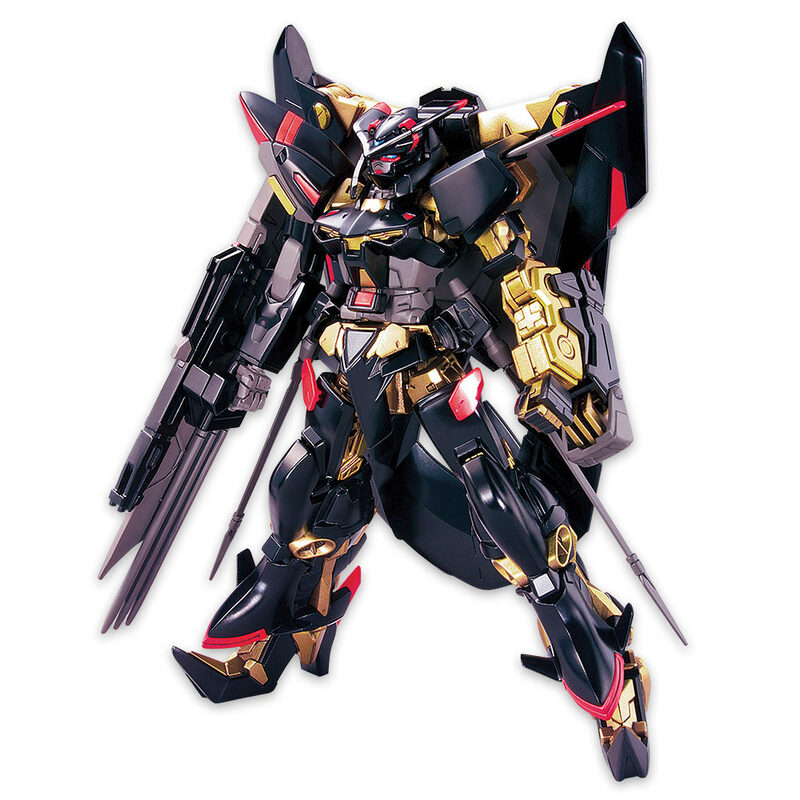 From the popular anime metaseries, that features Gundam, giant robots, these highly-detailed models allow you to build your own Gundam warrior, Gundam Astray Gold Amatsu Mina, which is newly upgraded with a pair of physical "Totsuka no Tsurugi" sabers that are stored on the hips, and a single retractable "Tsumuha no Tachi" triple claw that is mounted on the left forearm of the suit. This model can be manipulated in a variety of positions and weapons can be removed or added to customize its look. The snap-together kit features highly-detailed, sturdy plastic pieces molded in different colors. 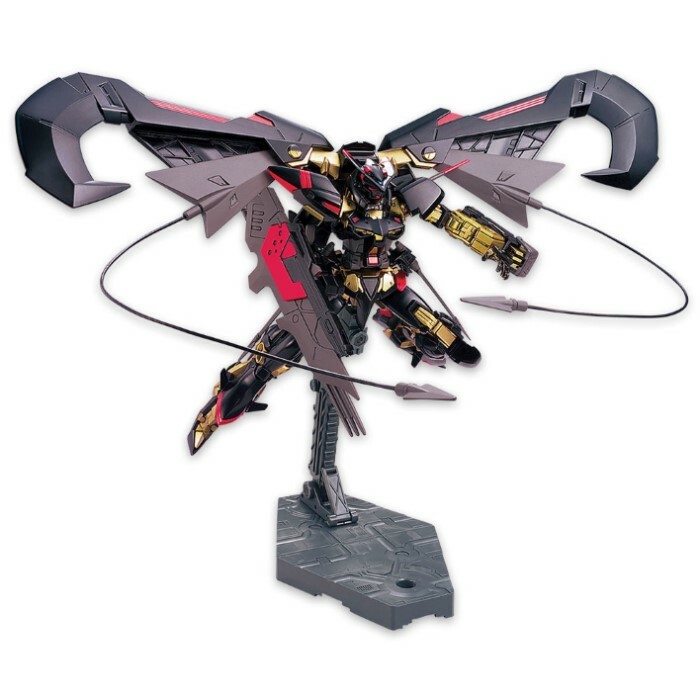 This is a 1/144 scale model, from the High Grade Build Fighter series. Absolutely no glue is required.